1-2-1 Enoshima, Fujisawa, Kanagawa Pref. Parking lot located right as you enter Enoshima, and nearest to the promenade leading to Enoshima Shrine. Perfect base for tourists who come by car! ・Parking fee pre-settlement machines have been installed. Please make use of them to pay up first and be able to exit the parking lot smoothly without any last-moment hassle. ・When all the parking lots in Enoshima island are occupied, try finding a place to park outside the island. The users of West and Central parking lots can rent a bicycle at free of charge. ・Overnight parking service starts from the time the parking lot closes at night until the time it opens the next morning. 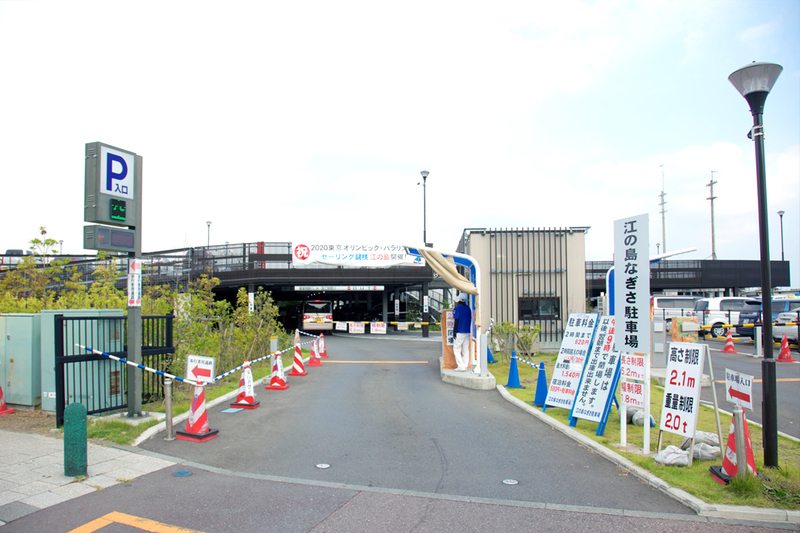 ・No more entry into the parking lot will be accepted when the remaining time of the business hours becomes less than 2 hours.